Take the headache out of managing contracts and positively impact the bottom line. Reduce risk. When you implement CLM you significantly mitigate internal and external risk. This is because CLM requires that the latest terms, conditions, controls and policies are used, and policy or regulation violations can be identified and quickly corrected. Proving compliance is straightforward when you can easily trace audit trails and have built-in compliance monitoring. On the supply side, CLM can help you to identify suppliers in high risk areas – natural disasters, political unrest, economic uncertainty, etc. – so you can react accordingly. Streamline processes. CLM greatly streamlines the contract creation, authoring, and negotiating process. This happens in many ways such as through the creation of a central repository for contracts, the creation of standard templates for commonly used contracts, the ability to standardize legal and compliance language, the automation of approvals, and utilizing e-sign capabilities. Improve finances. CLM improves the bottom line in numerous ways. When risk is reduced, so are the legal fees organizations face because of inaccuracy with statutory and reporting requirements. When processes are streamlined it becomes easier to collect the contractually correct amount of money from customers as soon as possible. According to a study by Aberdeen, the average time to create, negotiate, and close sales contracts is cut in half for organizations that use CLM (15.2 days) versus those that don’t (30.5 days). Tracking contracts with outside vendors enables the elimination of renewals for unneeded services. There are also hidden costs when contracts aren’t properly managed, such as lost credibility with customers and vendors that can affect future contract negotiations. Improve productivity and operational effectiveness. Obviously eliminating the manual management of contracts and gaining a central repository is going to give you greater control and effectiveness managing the lifecycle of your contracts, but there is more to it than that. You will also gain access to, and be able to track, data and analytics that will improve forecasting. CLM has built-in auto-reminders and other tools to schedule notifications of important contract milestones, preventing overlooked actions and important dates such as renewals, ending contracts, and compliance issues e.g. certificates of insurance. Scalability. Growth is a goal for many organizations, and with more growth the volume of contracts to manage increases. If your process for managing contracts is manual, you will eventually find yourself drowning in paperwork and the chance that mistakes will creep in will increase greatly. Implementing a CLM solution will help you deal with the increasing volume and complexity of contracts. 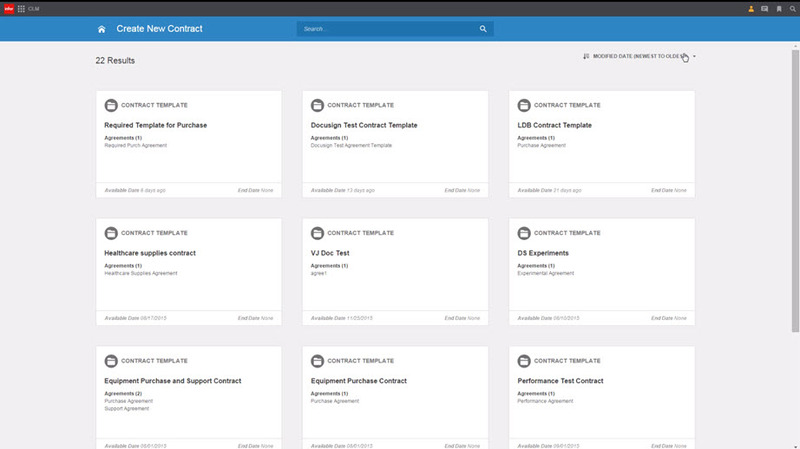 Infor Contract Lifecycle Management complements Infor CRM, and when utilized together results in higher customer acquisition, retention, and demand for products and services. If you are interested in learning more about CLM, join us for our Infor CLM webinar.